An exclusive reed diffuser with essential oil with a warm and embracing fragrance of orange, red grapes and cinnamon, 100 ml glass bottle + reeds. 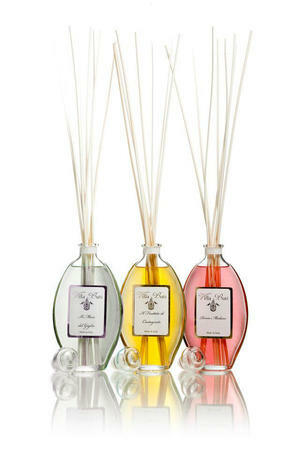 The bamboo reeds that accompany this scent contribute to perfect circulation in the room. The reeds are inserted into the bottle and the scent is easily regulated with these. The scent lasts for about 2 months. A good alternative to room spray and scented candles. Keep out of reach for small children.